Seamus Power created a PGA Tour first for himself in moving to a share of the clubhouse lead with an impressive showing on day two of the storm-affected Wells Fargo Championship in Wilmington, North Carolina. Power took full advantage of the softer Eagle Point course in battling strong winds to work his way to the front courtesy of a gutsy one under par 71 for a five under tally. The Waterford professional joined American Billy Hurley 111 tied at the top after completing their second rounds. It’s the first time Power, and a secondary Web.com Tour graduate, has led or shared the lead on golf’s richest stage. But then Power will have a long wait for confirmation of his second round status given Italian Francesco Molinari, and the first round leader, did not tee off to 4.4opm local time and will not end his round to early Saturday morning local time. Power is contesting the $US 7.5m event for a first occasion and after missing the cut by one stroke in last week’s team event at the Zurich Classic has taken a strong liking to having a scorecard again in the back pocket. The 30-year old is contesting his 15th event of the season but still with the uncertainty of being able to work out a true schedule given the nature of his status in this his rookie PGA Tour season. The West Waterford star went into day two having ended his first round just prior to 7pm on Thursday and pleased despite dropping a shot at his last hole in a score of -68. 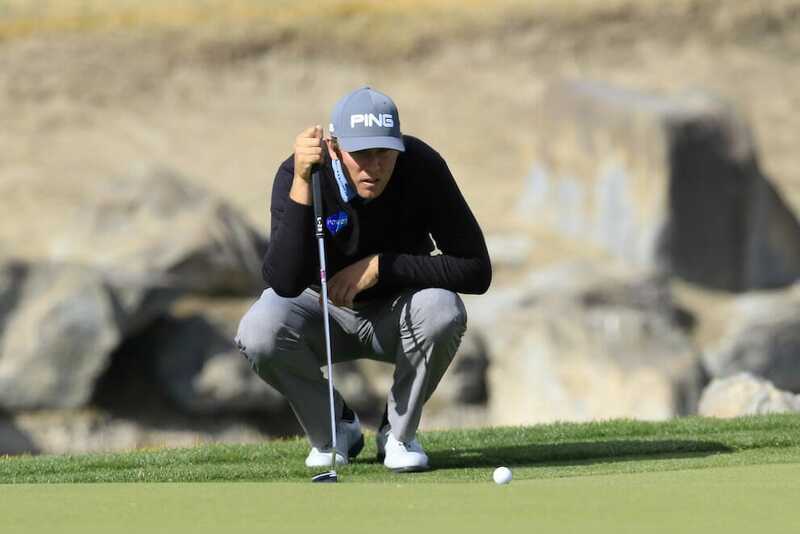 He opened his account holing a nine-foot birdie at the par five fourth hole and then moved to six-under in landing a 112-yard wedge to just four feet at the next par five, at the sixth, and holing the putt. There was a dropped a shot at the ninth but then birdied the third par five in holing a 2o-footer at the 13th hole. Power then went to seven-under in landing a 211-yard approach shot to 11-feet at the 14th for the fourth birdie of his round but then gave that shot back in two-putting from six-feet at 15. He then dropped a shot at the 17th before ending with a scrambling par after a wayward drive down the last for his score of 71. “It was tough going out there as there was a lot of places out there where the wind was swirling,” he said. “All you could do really was to have your best guess and try and hit a committed shot no matter what is going on. “So, I managed to hole a few putts and while I dropped a couple near the end I am very pleased with my two days. “Also after a poor drive down the last there it was good to walk off with a par, so I am delighted as it has been a long day with what a tornado warning in the early hours of the morning and then the two hour delay. “So, now looking forward to a long lay in before getting into my third round and very excited at way now lays ahead”. And Power was asked if growing up in Ireland and dealing with everything the weather throws at you in the Emerald Isle could have helped his cause. “Yeah, I don’t mind it, but like here it’s much, much tougher when the ind blows like this. You have a shot on 10 where, I mean, you’ve only got eight, nine yards of green, there’s a bunker short and like over the green is dead,” he said. “Where a lot of links golf you can at least run it in and you don’t have to worry about it, like doing something, trying to land it the perfect distance. Where links golf, if you get the shape right and the flight right, you can usually run it up there somewhere close. But I think it is an advantage. Graeme McDowell got his round off to a flyer birding his opening three holes to race to five under par but sadly came home in an ambulance bogeying his last two holes in a second straight score of 71. McDowell is tied for 23rd on two-under after his pair of 71s. But Shane Lowry left himself on the brink of making the cut. The clara man was 116th starting the day, then slipped to six over with two bogeys in his first four holes. Lowry recovered with four birdies in eight holes from the 17th (his eighth) and will resume on one-over in a share of 58th spot later today as round two should be completed.